I was lucky enough to work the NRA Show at Pittsburgh with the guys from Great American Knife & Tool Company and got to witness first hand the number of people walking by the table that were carrying dull knives. People tend to shop for a knife based on it’s size and what they think they need it for, but many people don’t understand how knifes are sharpened or how to put an edge on a blade. I’m in no way an knife expert, and in all honesty, I’m not that interested in knowing everything there is to know about knifes, but the one thing I do know how to do is sharpen a knife. I’ve other sharpening 2 stone pocket sharpening kits as well as a sharpening stone, but none of them worked as fast as the Gatco Sharpening System and with the 10005 which is a 4 stone sharpening kit plus a serration sharpening stone, this is by far the best kit if you ever want to bring a serrated edge back to life. Sure the quality of whatever knife you are sharpening is going to hold an edge above or below average but I’ve done enough cutting for shipping and handling packages to know when knives are losing their edge and can easily tell which one is holding up. There are tons of people that are carrying flashlights and knives on them but if you aren’t using it all the time, you might want to check to make sure that its still got an edge on it. In emergency situations like cutting seatbelts or rope, you don’t want to spend more time than you need trying to free yourself or someone else in harms way. For around $30-$40 you getting knife sharpening kits that also work very fast and you won’t spend all day sitting next to a camp fire doing it the old fashion way. There are replacement stones you can buy if you break or wear something out and Gatco like many of the other products we sell have outstanding Warranties on their products. Get a good sharpener when you buy a knife! 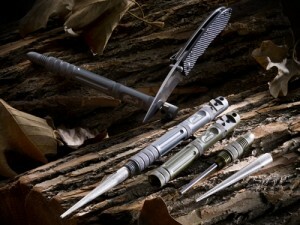 Rogue Elite is your source for combat, self-defense, military and rescue knives. 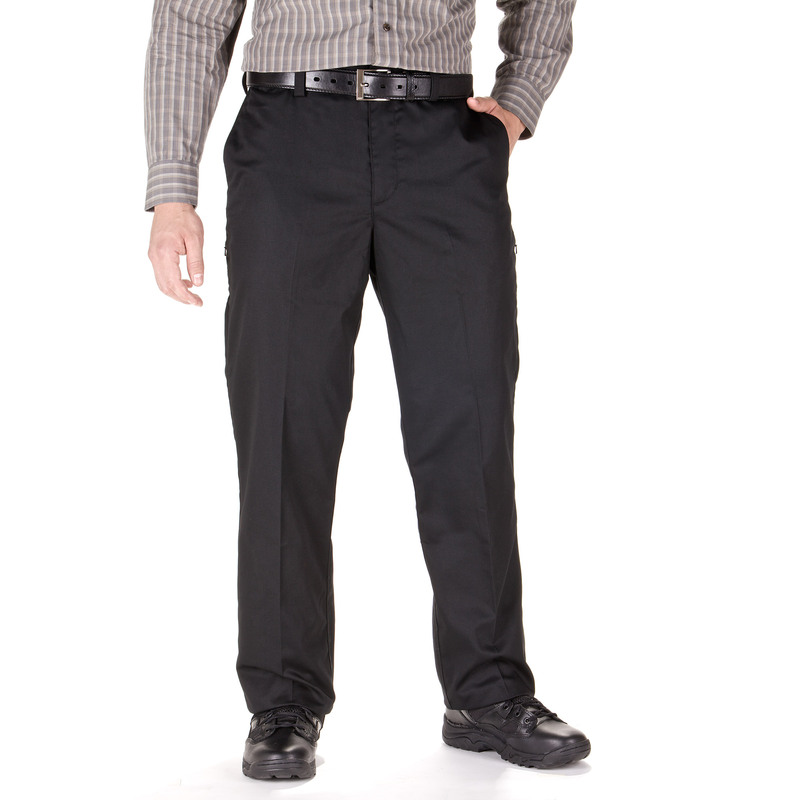 Select from your favorite manufacturer for the knife the suits your purposes. Tactical knives are useful tools and those that feel the need to carry them while working, camping, or for law enforcement or military can tell you. And don’t forget that there’s no do it all knife just like there is no do it all self defense weapon or tool. Folding knives, multi tool knives, long knives, short knives, Military knives, bayonets, tomahawks and rescue knives, we’re the place to shop. Spyderco knives, Kbar knives, Colt Steel knives, SOG Knives, Timberline knives, Kershaw, knives and Columbia River knives to name a few. You usually get what you pay for so when you are shopping for a knife, make sure you put some thought into what you are using it for so you don’t have to buy a knife 2x’s because you broke it when you should have used something stronger. We have plenty of EMS personnel that stop in our store that don’t want to drop more than $40 on a knife and we sell a lot of the Timberline Knives we sell move pretty fast. The ECS Safety Cutter is also a big hit as well as the ECS knife. One thing about the Timberline knives you might want to think about doing is getting a good sharpener because their knives tend to not come with an edge. 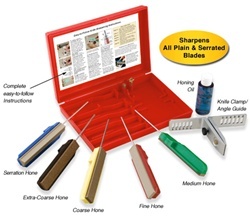 The Timberline knife sharpening kits are also less than $40. Need a gift for a co-worker this year? 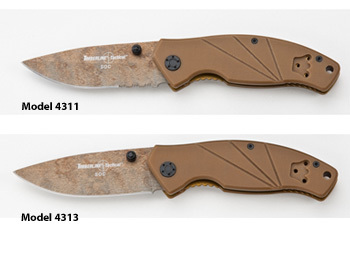 This has got to be the coolest thing we’ve ever gotten in from Timberline’s Tactical knives or accessories. I’m really not sure which category you’d put the new Gatco Scepter 2.0 in because it’s not just a knife sharpener, it’s also a serrated knife sharpener and a fire starter. Anyone that has done a serious amount of camping knows those stories of heavy rains and what it’s like to actually start a fire to must make a hot cup of coffee and find out there isn’t a single piece of dry wood around anywhere. We know you can start with newspaper or any kind of paper trash, but wet wood is difficult to light or keep lit. The Magnesium is something that will be so hot that it gives you a much better chance of getting the job done. The Gatco Scepter 2.0 looks like a pen and takes up as much room in your pocket as a pen so stowing this in a backpack is an easy thing to do. There are a lot of Timberline knives to choose from but when you want to have an emergency device this sharpening system and fire starter is something that should be put in a 3 day pack or a bugout bag. I usually keep this with an emergency blanket, freeze dried foot and a small pot that all I need to do is find clean water and I have my firestarter. We have lots of really good deals on the Elite Survival Systems backpacks and bags and they go well with any emergency preparedness minded person. We are now a stocking dealer for the Timberline tactical knives. Not only have our customers asked us to carry them, but we are having fun showing people how to use them and doing demonstrations on using the Gatco Sharpening Systems. One of the best things about the sharpening systems is the ability to sharpen serrations. The type of knife you choose will be all up to you, but I’ve found the knives that are partially serated to be the best. There are times when cutting isn’t going to get the job done, something more like a saw is needed. This tends to be the case when cutting down rope. A few years ago a friend held a shooting competition and people must have spent hundreds of rounds trying to cut rope with a bullet. It was amazing the number of times we saw the rope get shot, but it would hardly tear. Cutting through seat belts is even harder and the 18 Delta full serration is probable the most recommended for EMS. Timberline Knives also release the Timberline Tactical SOC folder, we are giving them away for anyone that orders $200 or more of tactical or CCW clothing this month while supplies last. I had the fortunate experience to work the Gatco Sharpener booth at the NRA Convention last Spring and it was a very insightful experience. When I first showed up most of the knives looked the same to me, but after about 2 days of handling them, I was able to distinguish between all of the knives and how they were different. There are numerous sharpeners from Gatco that are options in sharpening your knife, but some of them are pocket sizes and others are kits. The Military Carbide sharpener is probable the most straight forward, but since not all knives are straight edge or plain edge. You may have a hard time getting to partially serated knives. That’s where the the sharpening kits come in. We ran a giveaway at the Gatco sharpener booth where we gave away an SOC knife with every kit that was purchased. Probable the biggest seller for those that purchased the Timberline knives, was the Edgemate Professional Knife Sharpening system. There is a stone that can be used to get to the serations and it only took a few strokes to notice the difference. Once you get the hang of using the sharpening system, you can sharpen knifes even faster. One thing we didn’t see at the show was any blood flow, but I was informed that almost every year somebody cuts themselves there. Safe handling of knives is something you’ll be practicing whenever you use a sharpening system.